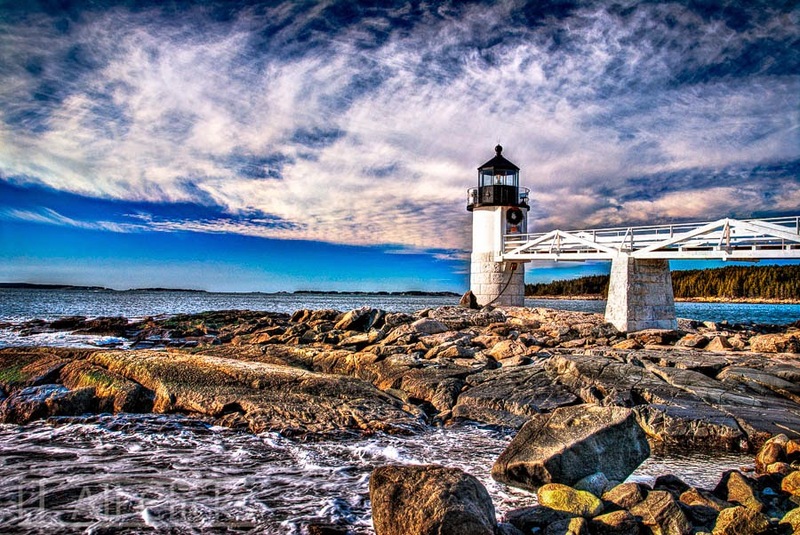 There are lighthouses all over the Portland and Maine coastline. Although they all serve the same purpose, they look very different one from the other. This is the Marshall Point Light in Port Clyde, Maine. The rocks are pretty dangerous here, so it makes perfect sense to have a lighthouse. It's interesting that, even with modern navigation instruments and GPS, lighthouses still serve a purpose. Looking at them takes us back to a more romantic (dangerous?) time, where the night was filled with the breaking waves, the creaks and groans of the wooden ships, and the yelled instructions between sailors.